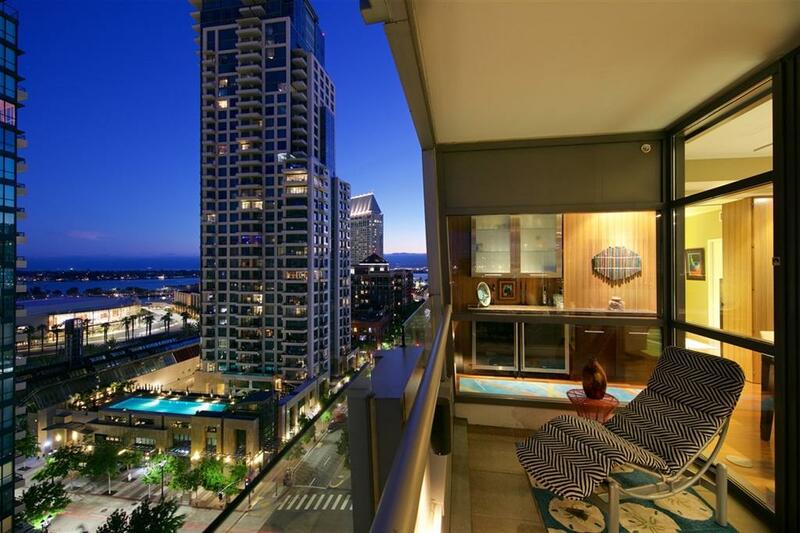 645 Front St. #1408, San Diego, CA 92101 (#190018826) :: Neuman & Neuman Real Estate Inc.
Sunrise to sunset the stunning sights of the City and Bay are your ever changing urban scenes! This beautifully transformed interior has been designed with quality, style and eye catching finishes creating the ultimate urban masterpiece. The key ingredients include a rare three bedroom floorplan, lounging patio, two side by side parking spaces and two storage units. A perfect combination of sophistication and practicality! 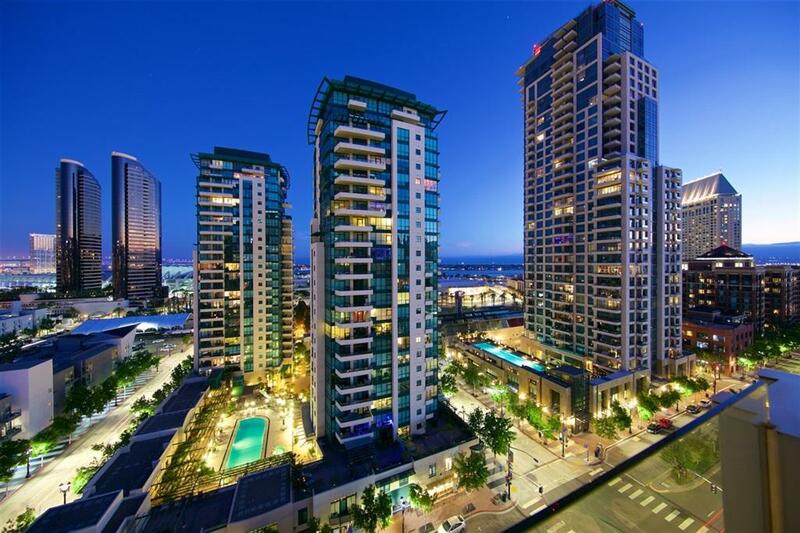 See supplement for more info about this exquisite Residence..... Renaissance.....a superb community in the heart of the Marina District! Residence 1408 has been completely renovated from top to bottom....kitchen island removed to create an open flow allowing seating for four. Brazilian Cosmos granite countertops. Upgraded Zebrawood cabinetry with hidden pantry and pullout shelving. All bathrooms have upgraded cabinetry, sinks, mirrors and tile....walk-in shower in Master Bathroom and upgraded lighting, countertops and tile flooring. Exotic wood flooring throughout by Gemwoods "Kayu Kuku". Built-in closet organizers and abundance of storage throughout this oh so stunning Residence! 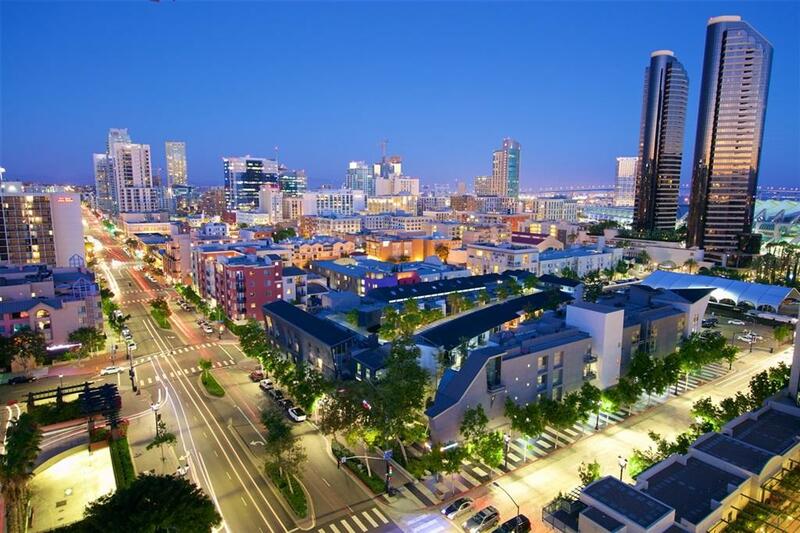 Conveniently located across from Ralph's Grocery, Jimbo's, Horton Plaza (soon to be renovated) and a few short blocks to the Gaslamp or Petco Park as well as an easy stroll to the Embarcadero Parks, Seaport Village, The Headquarters....and much more! Renaissance is one of the few "self managed" properties Downtown and reserves are "fully funded" at 100%. 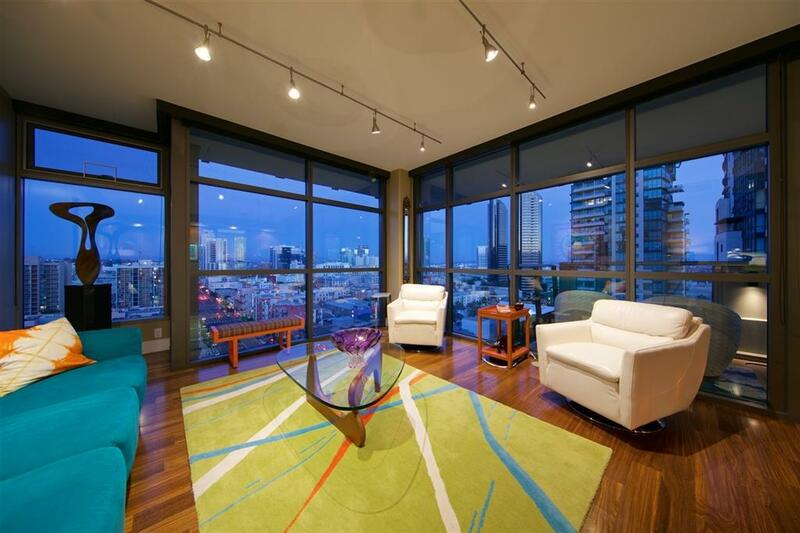 Downtown urban living at its finest! 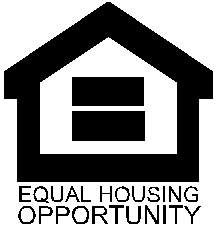 Buyer to pay 1% transfer fee to civic San Diego upon close of escrow. Two side by side parking and two storage units are a huge plus!!! Cross Streets First & Front Sts.